The Bureau of Labor Statistics provides regular reports and data specific to work-related injuries and fatalities. 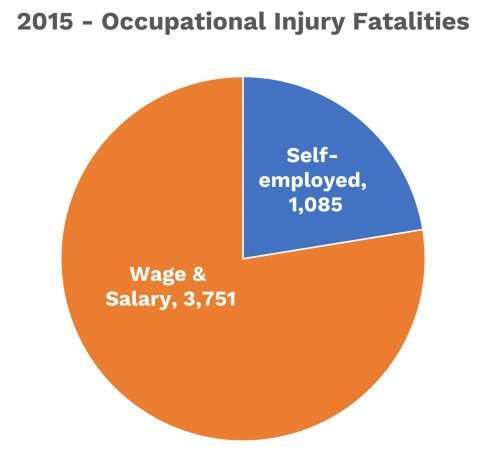 Of particular concern is the number of workers that died as a result of an occupational injury in 2015, which totaled 4,836 workers, the highest since 2008. The total is made up of 3,751 wage and salaried workers and 1,085 self-employed individuals. 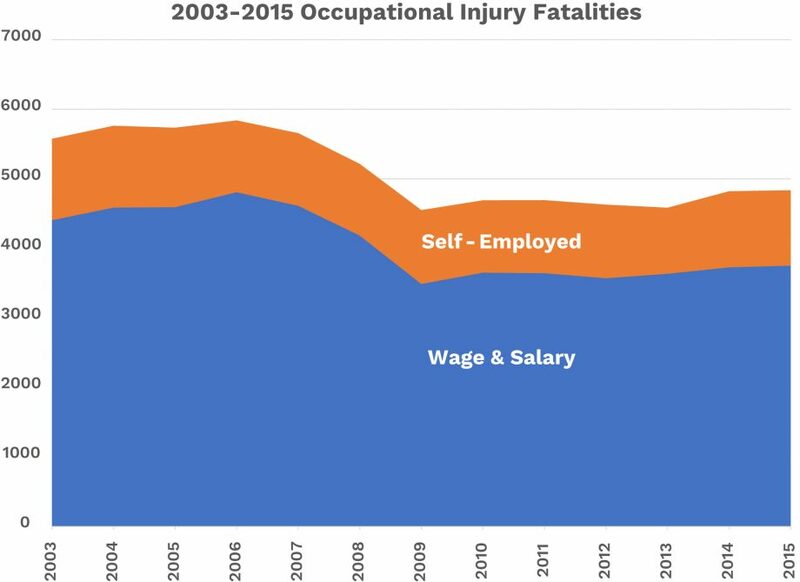 The total workplace injury fatalities from 2003 to 2015 area represented below, and divided between the Wage and Salary worker and the Self-employed individual.